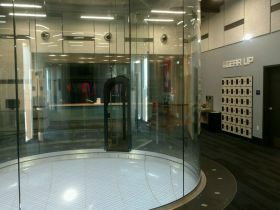 IFLY Indoor Skydiving. This 10,144 sq ft ground up project is a four story building with a wind tunnel powered by four 350hp fans fed through harmonic filters and VFD's to minimize vibration. Project also included the installation of a 200 ton chiller to maintain the climate required for this system, installation and termination of all of the instrumentation control wiring for the monitoring of the wind tunnel interlocks through the PLC cabinet, a UL listed lightning protection system, and a turnkey fire alarm system. The building was fed with 3000A 480V SES to power the electrical systems for the wind tunnel. Added scope included phone, data and camera systems. 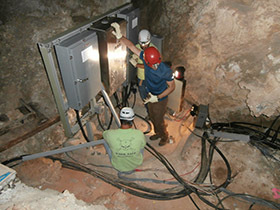 The Wilson Electric New Mexico team was responsible for the complete installation of new electrical and emergency lighting systems throughout the Carlsbad Caverns and demolition of the existing system once the new system was energized. 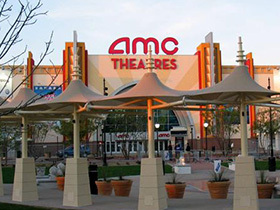 The work included a complete 2400V electrical system with over 75,000’ of cable installed to transformers, panels, receptacles and emergency light fixtures. Wilson Electric has been awarded the second phase for Carlsbad Caverns which includes the installation of over 1,000 LED feature lighting fixtures throughout the caverns complete with DMX wireless control. 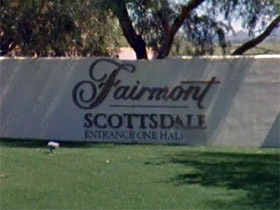 The Scottsdale Princess Resort has 649 total guestrooms and a 72,000 square foot meeting and function space, including the Grand Ballroom: the largest hotel ballroom in Arizona. 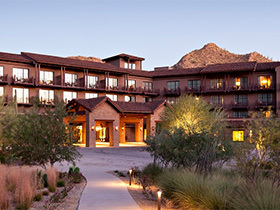 Located in the High Sonoran desert in Southern Arizona, the four-story resort includes 250 guest rooms, 24 individual casitas, signature Ritz Carlton amenities, four restaurants, and a 17,000 square foot spa on 850 acres. Wilson Electric provided electrical installation and distribution for the ground-up construction of the hotel, spa and fitness center, which totaled 328,000 square feet. Wilson Electric and NETSIAN Technologies Group were members of the Design-Build team, providing electrical, fire alarm, telecommunications/data, security and audio visual installations. 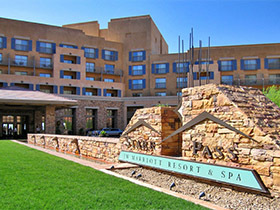 The new construction included the main resort complex as well as a two-story above-grade and below-grade parking structure attached to the hotel and ballrooms. 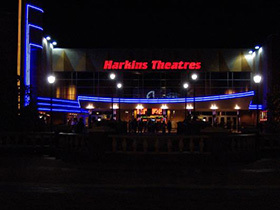 NETSIAN custom designed, installed and programmed the audio-visual systems throughout the facility and completed all communications cabling.